I like this developer and what it tries to attempt. The developers of hit indie game sensation Contrast have just unveiled their latest game, and it’s a bit of a surprise. 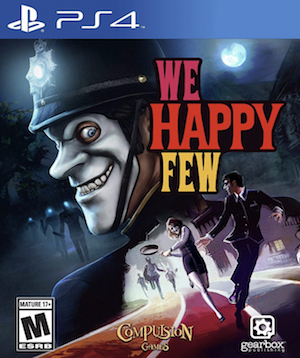 It’s called We Happy Few, and it is a fair bit different from Contrast, although it promises to be equally thought provoking. It’s about a plucky bunch of moderately terrible people trying to escape from a lifetime of cheerful denial. Set in a drug-fuelled, retrofuturistic city in an alternative 1960s England, you’ll have to blend in with its other inhabitants, who don’t take kindly to people who don’t abide by their not-so-normal rules. The developers will be showing the game off at PAX East in Boston next month, and everybody who goes to the booth to check the game out is in with a chance to be invited to the game’s alpha; even if you can’t make it to Boston for PAX, the developers say, they will still be trying teir best to have as many people as possible involved throughout the entire development process. Stay tuned to GamingBolt, and we will keep you posted.